Alphasense Carbon Monoxide gas sensors operate using proven fuel cell technology. The Alphasense family of CO sensors have proven themselves in the field with long term stability and reliable operation, well beyond the two-year warranty, using our patented electrode technology. The ‘X’ sensors have low hydrogen sensitivity, as drop-in replacements for the standard ‘F’ sensors. Download Toxic Application Notes – see application notes for full details. 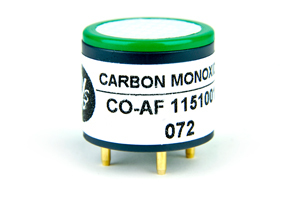 Compare Alphasense Carbon Monoxide sensors – sensor specification summary. © Copyright 2013 Alphasense. All Rights Reserved.